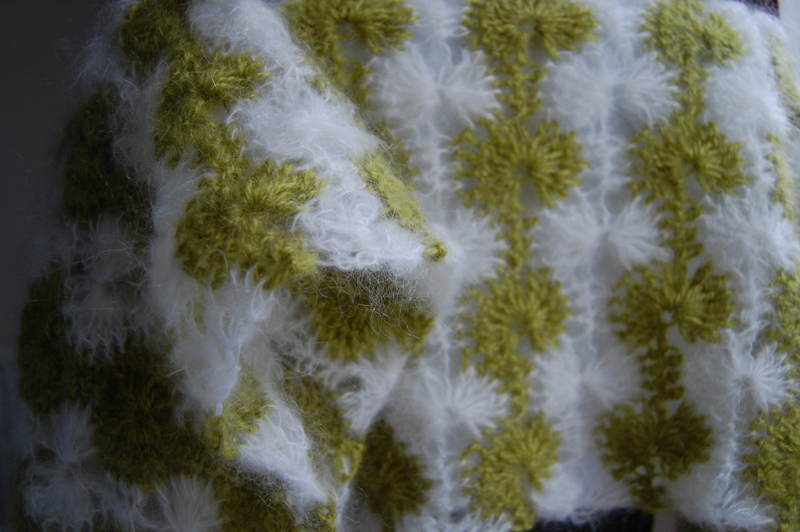 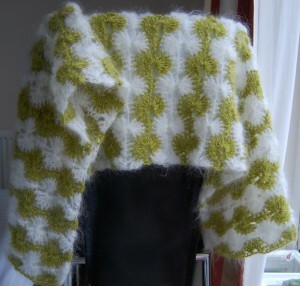 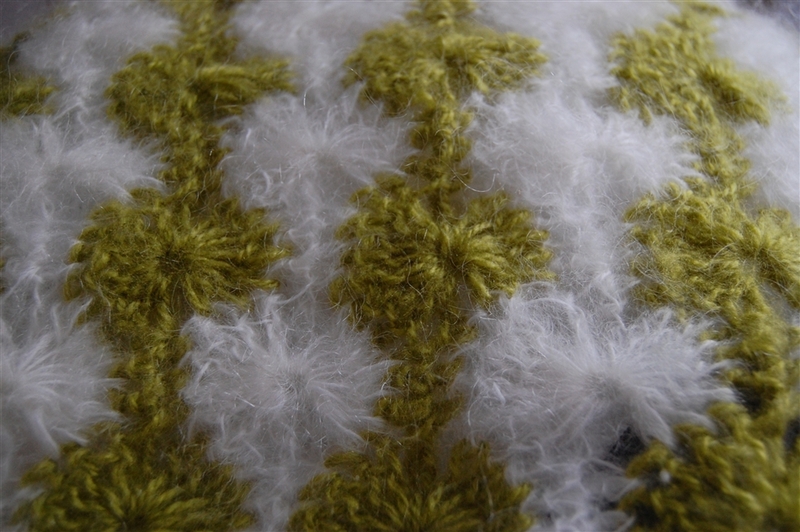 Mixture of the Angora goat’s hair better known as mohair makes fabulously warm and very fancy looking shawl. The pattern is Catherine’s wheel as explained in Sasha Kagan’s Crochet Inspirations. .